The wrong match main-evented the show, the Nassau Coliseum didn't look sold out and there was an ever-looming threat of self-congratulation running throughout the entire thing, but WWE got an awful lot of things right at Evolution. 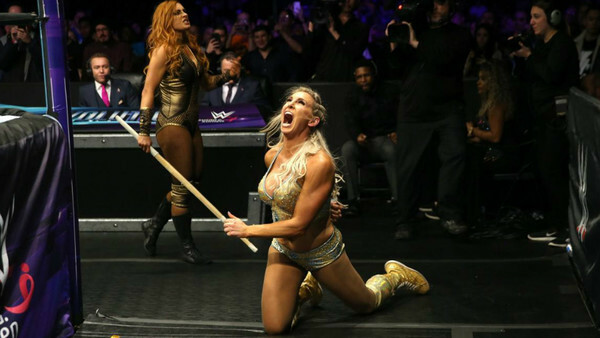 This is an experiment worth repeating; WWE can be rightly proud of what they achieved on Sunday, and that party-like ending to the show (kayfabe be damned) showed the close-knit collection of female wrestlers they have at their disposal. Note the word 'wrestlers'. That's what we saw at Evolution. Exactly none of the seven matches broadcast failed to accomplish what they set out to do, and even two that seemed totally throwaway before the show managed to get an enthusiastic live crowd in New York pumped. When is the last time anybody has been able to say such a thing about a three-hour plus card's entirety? The women of WWE may take time to show their full potential, but there was enough here to prove the days of gravy bowl matches, bikini contests and general titillation are consigned to history for good. That, above all else, is Evolution's crowning achievement.